Another land of such contrast simply because of its size. Beautiful beaches, inviting cities and of course that huge area called the Amazon jungle. Brazil is on NeoTangkas list of countries to revisit as I have only seen a little corner of it. 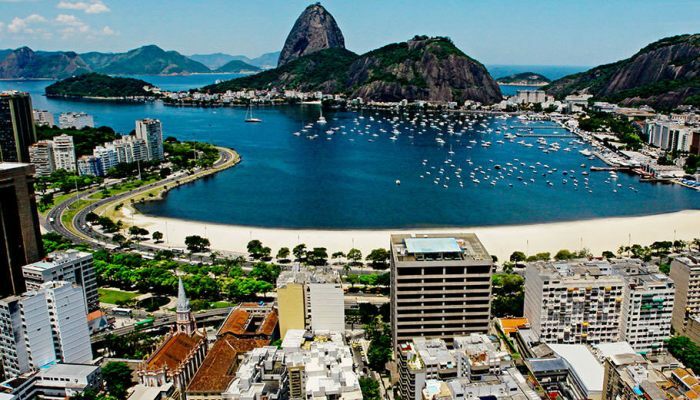 There is Rio de Janiero and the beaches of Copacabana and Ipanema. They are long, with a rather dangerous surf. The sea goes very deep, very quickly, and a local was to tell me there are lots of drownings each year due to the undertow. Exercise caution when swimming here. The best and safest place to swim is where the 2 beaches meet. From here is also an excellent spot to take photos. As you can well imagine, you get a better view and a load of photos from Sugar Loaf Mountain and the Christ the Redeemer Statue. There is a restaurant at the top of Sugar Loaf. You can go tandem hand-gliding just out of Rio. Get the best view of the forest, Rio and land on the beach. Florianopolis. My favourite place in Brazil, to date, is Barra de Lagoa. This is on the east side of the island of Florianopolis. It is wonderful, as are the locals that will join you down on the beach at night around a bonfire. Not alot of Brazilians speak English, but the few that do show alot of interest in where you are from and where you have been. This is a nice spot to learn to surf. Brazil has an abundance of surf beaches and small islands off-shore to go diving and explore. Off the coast of Angra dos Rios in Rio de Janiero state there are some 300 islands to dive till your hearts content. Bahia de Salvador. Known for its colourful culture and colonial era buildings. The streets are cobblestone and it boasts a high number of churches. This is the place to soak up Brazilian culture at its best. Amazon. Manus is in the heart of the amazon and from here boat trips leave to take you way up the Amazon River. Belem is at the mouth of the Amazon. Fortaleza. This is now becoming a large resort city. Popular with people from all over the world wanting to soak up the sun on some of the world best stretches of beach. You can play hard and party hard here! In the southern state of Rio Grande do Sul there are the Jessuit missions to discover. Yes I think Brazil has it all – trekking, caving, diving, hiking, rafting, mountains, forests, caves, lakes, waterfalls………. Which brings me to Foz Iguazu. If you have entered Brazil from Argentina here then don’t miss seeing Itiapu Dam. Most people miss it as they haven’t even heard of it. Well now you have. It is totally mind blowing when you see the size. Until the 3 gorges in China were built it was the largest hydro dam in the world. A video is shown first before you go in a bus to actually see it. The statistics on the building of the dam with amaze you for a start. Something not talked about however is the fact that waterfalls bigger than Iguazu where lost when the dam was filled. There are photographs in existence of the falls but I haven’t yet viewed any. Be aware that if you fly within Brazil you will probably be told that your flight is direct, then to find when you get on board, you are heading to Sao Paulo. Most flights, domestic and international, go through this city. Sao Paulo and Rio de Janiero airports do not have many signs in English and no-one around to help. Rio has a tourist information desk. When I was there no-one at this desk spoke English. Bit pointless as far as I could see. Make time to visit Florianopolis. It’s nice to see the colours of this city, then head to the east and stay near a beach and chill out. Perfect place to rest up and get to know the locals. 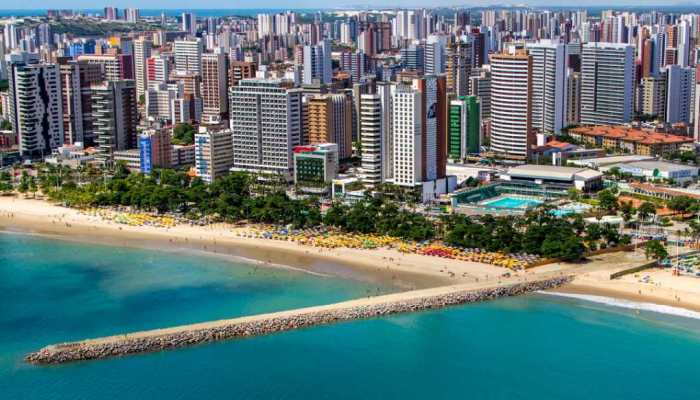 If you have the time and money, go right up the coast from Rio and make your way to Fortaleza. Long beaches and places of interest including Salvador. As I said in my piece on Argentina, and above, make sure to visit Foz Igauzu and go to Itiapu Dam. The stats and info will astound you. This place is stuck in my memory! Buses are not so comfortable in Brazil so take a night one so as to sleep and not notice. No smoking on the bus, only the driver, and wait for it to come through the air-conditioning. Local buses have turn-styles in them. Biggest problem when you have a backpack on as they are so narrow. Take your pack off, through it over the turn-style and then go through. Chances of help from anyone – slim! If you have to take 2 local buses to get where you are going then stay on the platform. This way you don’t need to purchase an additional ticket. Step off the platform and you will have to but another ticket. From Rio airport you can catch a bus to Copocabana and Ipanema beaches. Look at a map of where you are staying and the driver will drop you along the beach as close to your street as he can. Bus also run about every 40mins along the beach to the airport. Saves a taxi fare, but if you go by taxi know what terminal you are leaving from as there are 2.